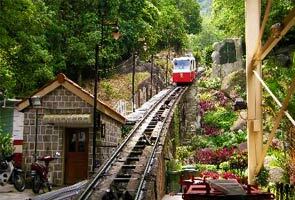 GEORGE TOWN: The Penang Hill Corporation (PHC) is targeting 1.5 million visitors this year, said its general manager Maklen Ali. He said they were confident of achieving the target as Bukit Bendera recorded 1,204,739 visitors last year, which was double the number compared to the period between 2007 and 2009, when the old funicular train was in operation. A total of 281,487 of them were foreign tourists, he added. He attributed the increase to the introduction of the new funicular train in May 2011 and upgrading of facilities. "We recorded the highest number of visitors in the history of Bukit Bendera last year. In comparison we had 461,247 in 2007, 509,735 in 2008 and 442,154 in 2009," he said at a press conference here Tuesday.